Being present to what we are feeling and thinking takes awareness, especially during the holiday seasons. It is easy to let time zip by in busyness, unaware of our body, mind and spirit. It is easy to get wrapped up in wrapping just doing without being. Holidays are often wrapped up in a beautiful package of past memories and experiences that create our present life. In my book, I talk about my ‘be enough’ mindset and allowing myself space to care for my soul. This year, I continue to unwrap past Christmas seasons, grieving the loss of my mom while being aware of my desire to create magical memories for my brood of boys. I chose to be enough by strapping on my sticks! Heading off in the early morning on cross country skiis, solo. Allowing the thoughts float on by, in silence, in beauty with birds chirping me on as I pass by. I chose to be enough by strapping on my boards. Heading off during the day on downhill skiis with my boys. Allowing laughter to pour out, looking for jumps, in beauty with my boys hooting and hollering as I go by. 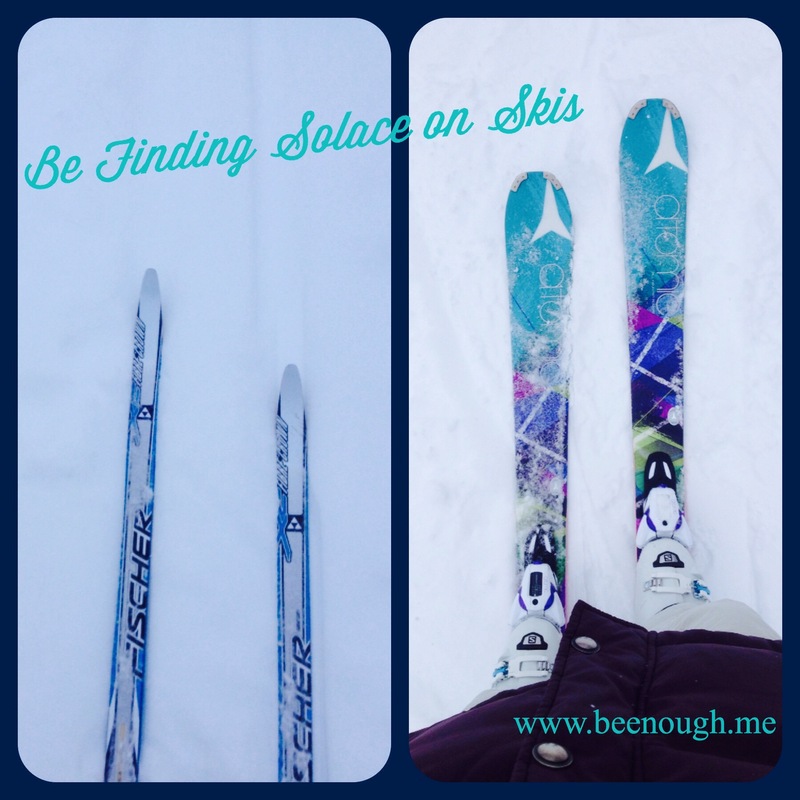 Finding solace on my skiis.